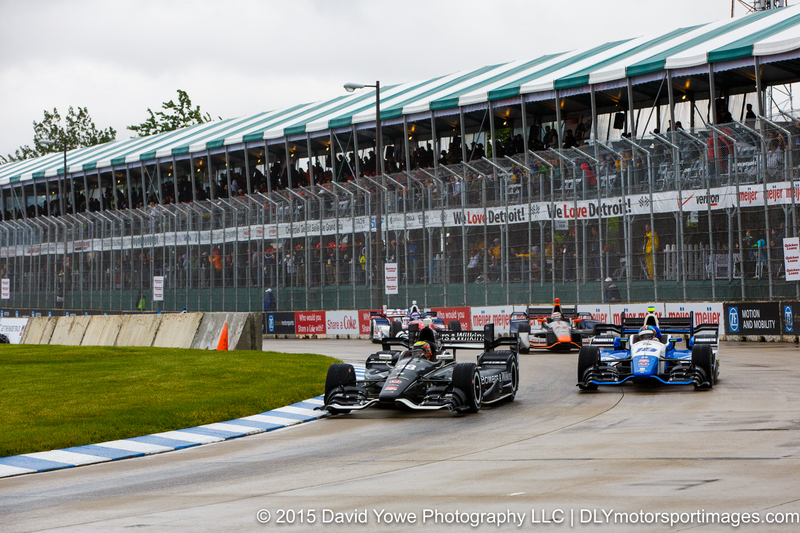 The IndyCar Dual in Detroit Race 2 was held Sunday afternoon under overcast skies on a wet track. 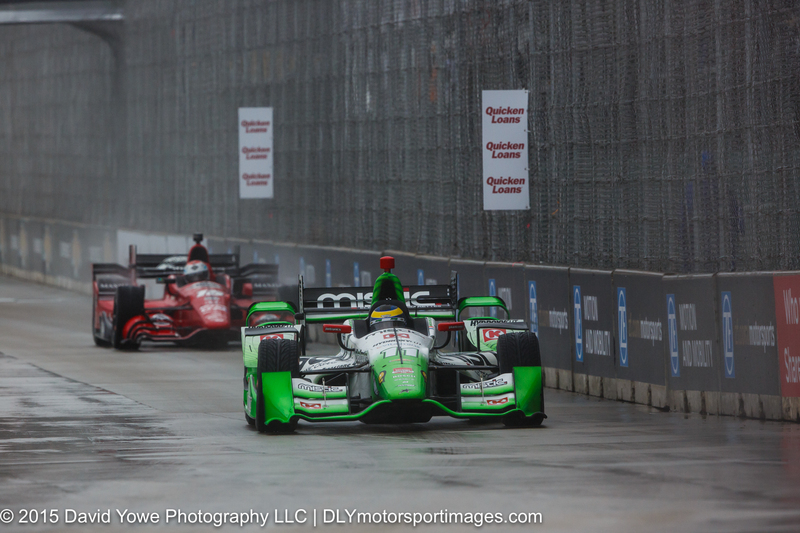 After 68 laps, Sebastien Bourdais won the race in the #11 KVSH Racing Chevrolet. 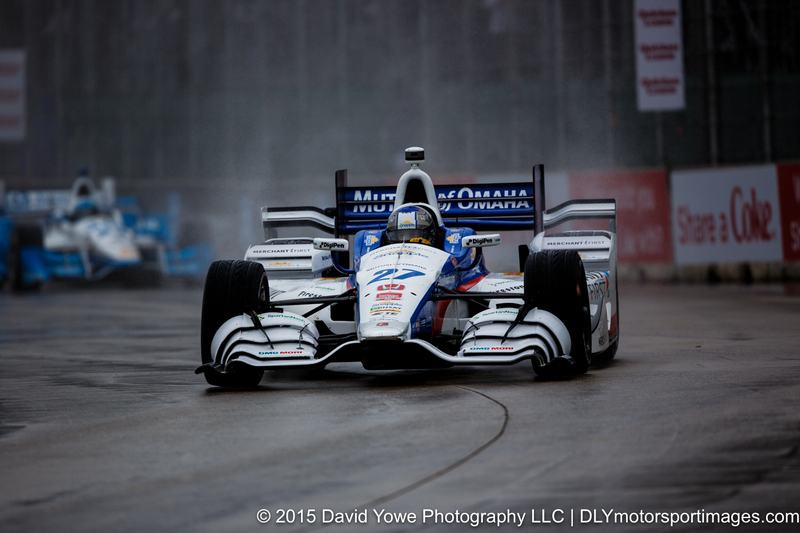 Second was Takuma Sato in the #14 A.J. 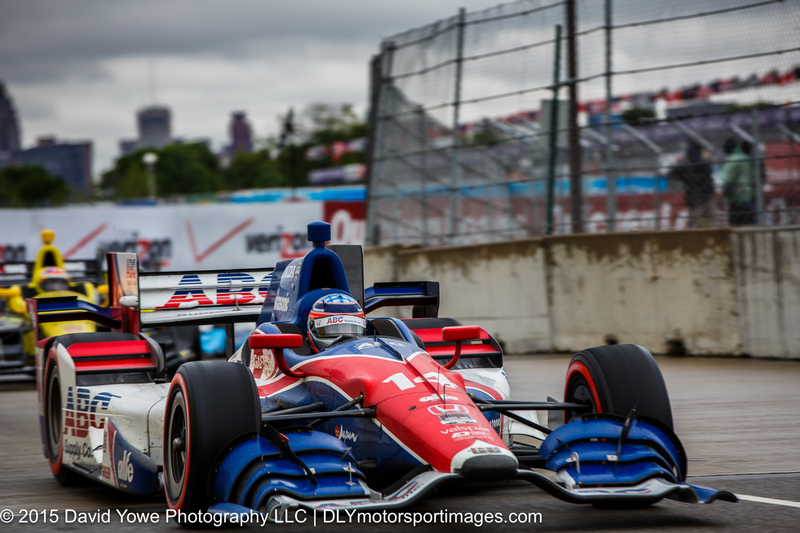 Foyt Enterprises Honda and Graham Rahal in the #15 Rahal Letterman Lanigan Racing Honda was third. Hope you like the photos. 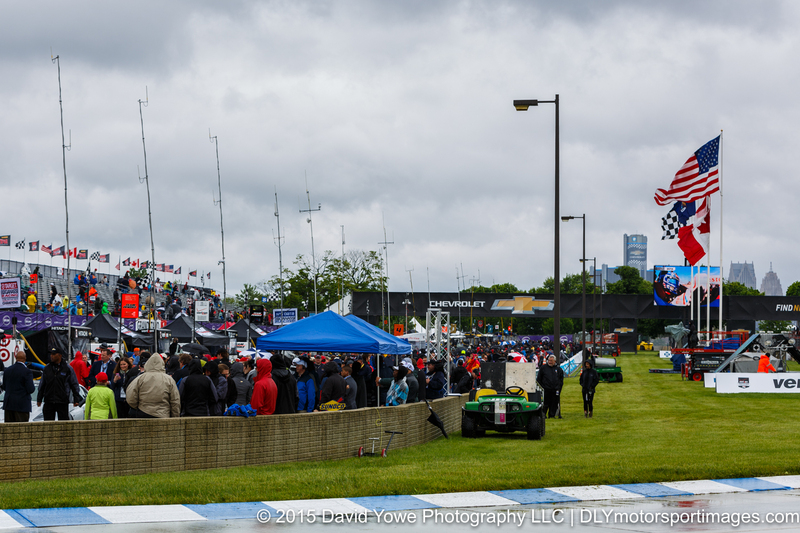 Overcast skies with dark clouds were overhead for the start of the race. 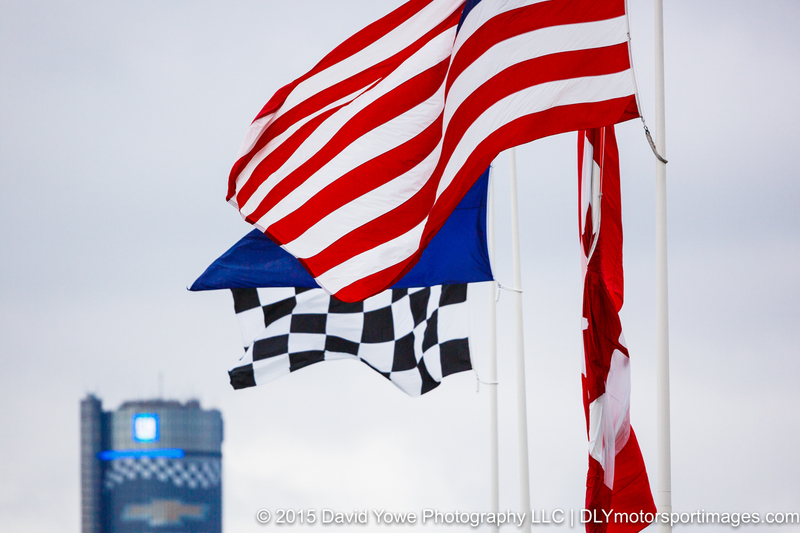 The overcast skies really made the colors of the American flag stand out. A race official overseeing things on pit lane. 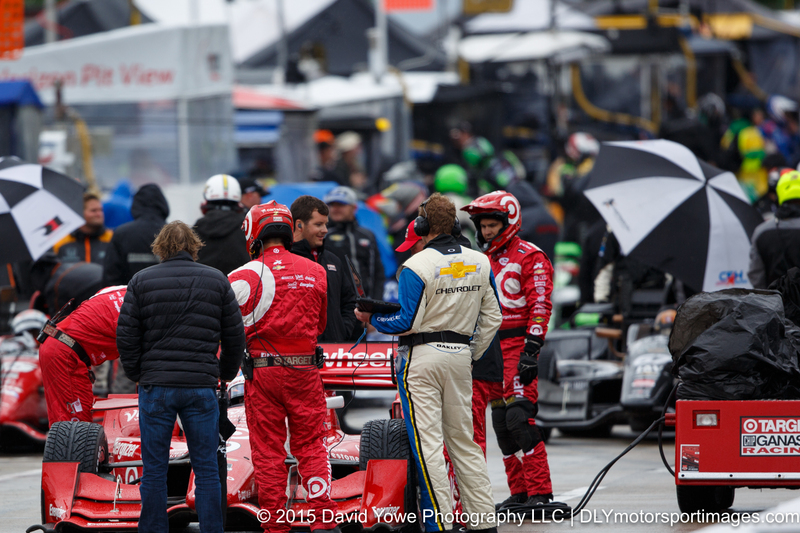 Team members getting the #9 Chip Ganassi Racing Chevrolet of Scott Dixon’s ready for the race. 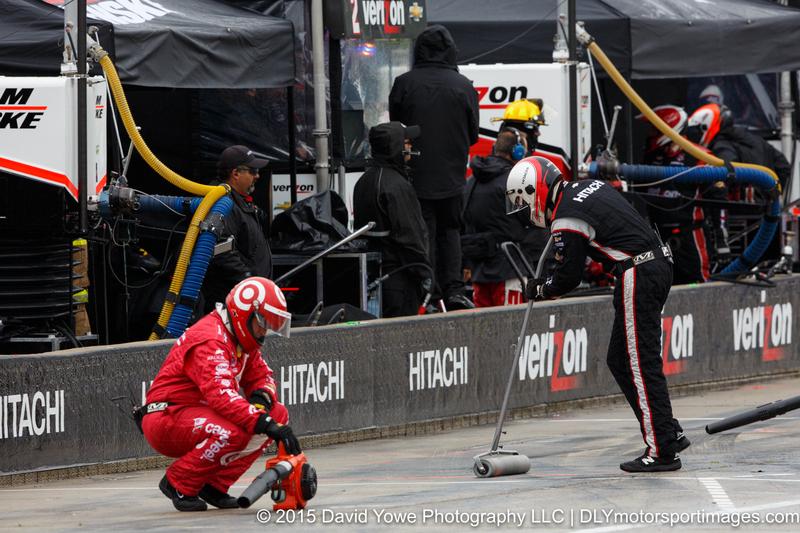 Juan Pablo Montoya being protected from the rain by an umbrella in his #2 Team Penske Chevrolet. 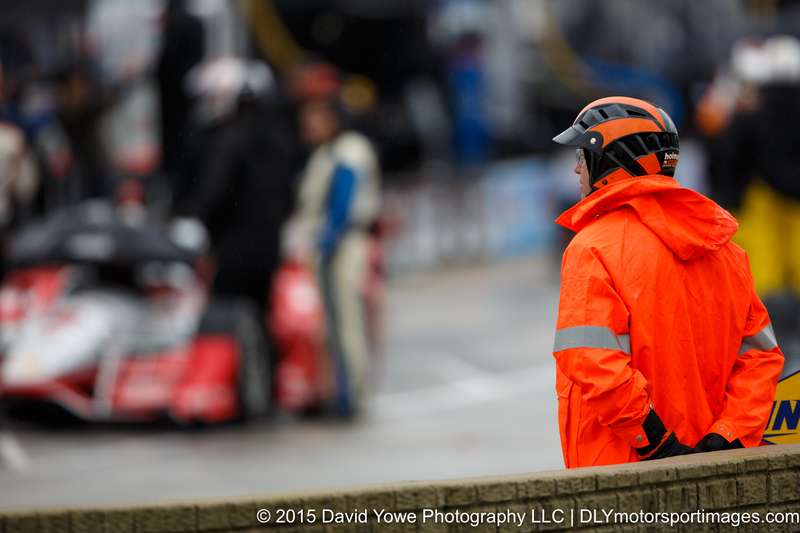 Crew working hard to keep the pit boxes dry. 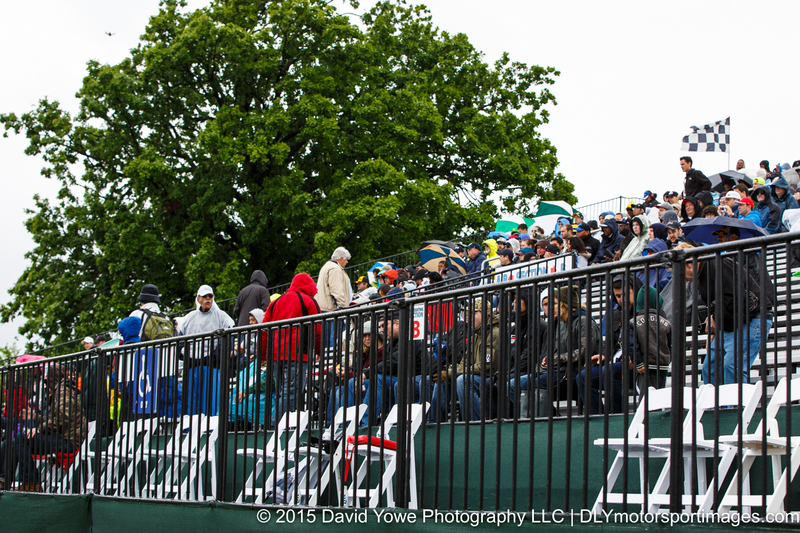 Despite the acclimate weather conditions, its was great to see plenty of fans in the the grandstands. 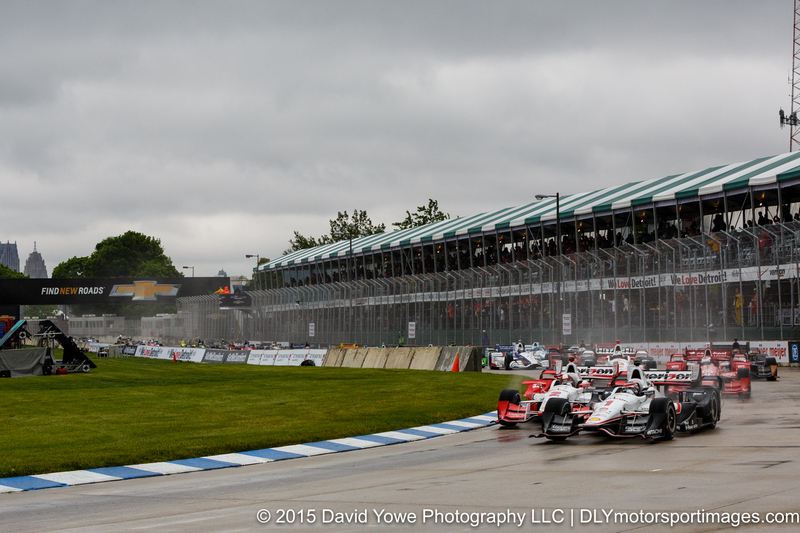 Race start with Will Power in the #1 Team Penske Chevrolet leading the field though Turn 1. 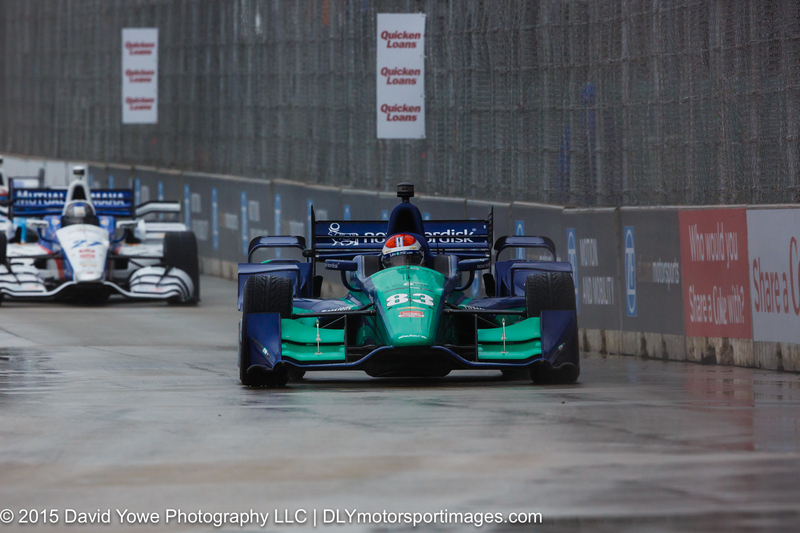 Gabby Chaves in the #98 Bryan Herta Autosport with Curb-Agajanian Honda and Rodolfo Gonzalez in the #18 Dale Coyne Racing Honda. 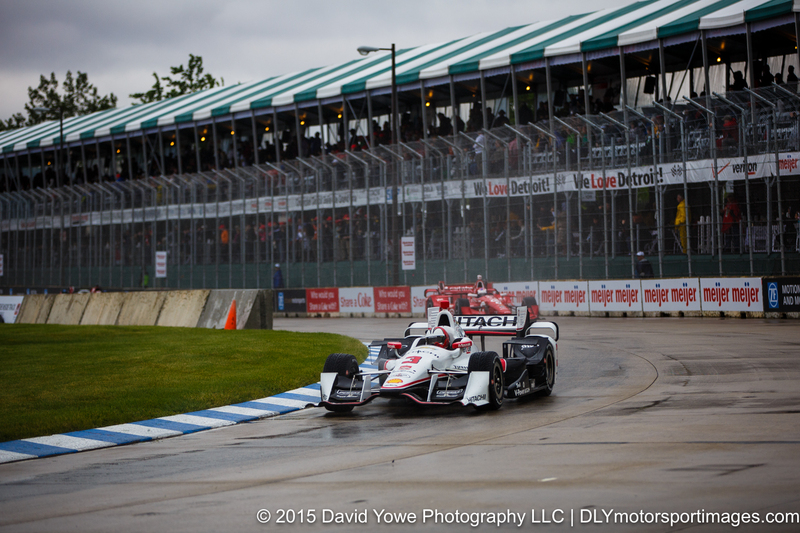 Helio Castroneves in the #3 Team Penske Chevrolet. 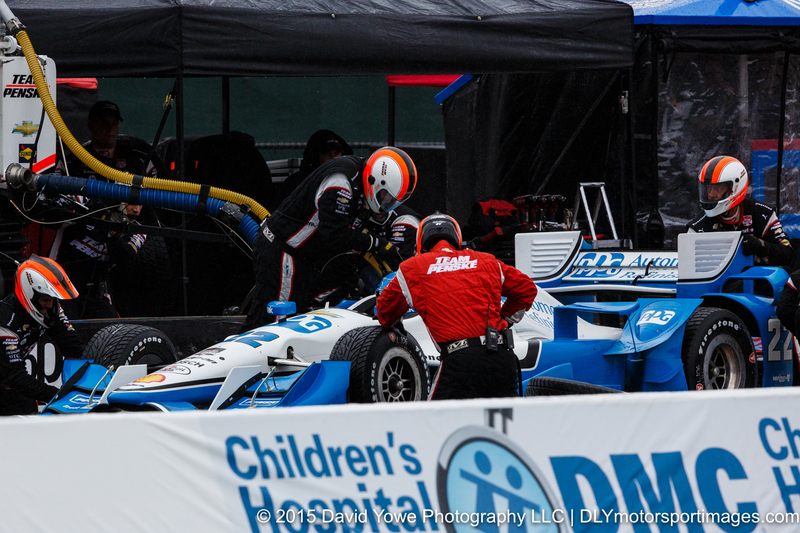 Charlie Kimball in the #83 Chip Ganassi Racing Chevrolet placed third. 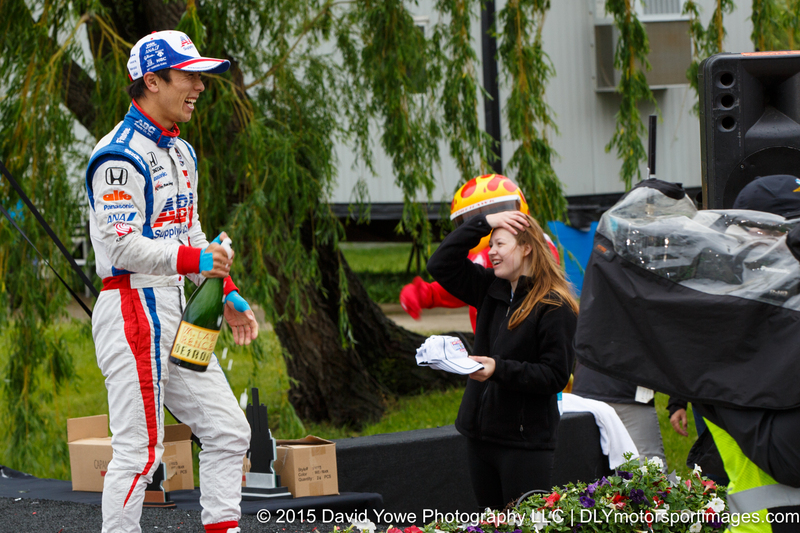 Second place went to Takuma Sato in the #14 A.J. Foyt Enterprises Honda. Jack Hawksworth in the #41 A.J. 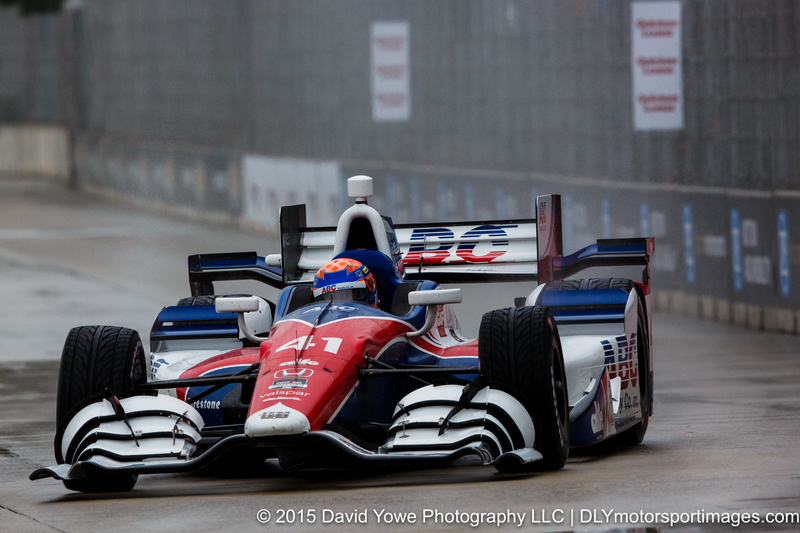 Foyt Enterprises Honda. 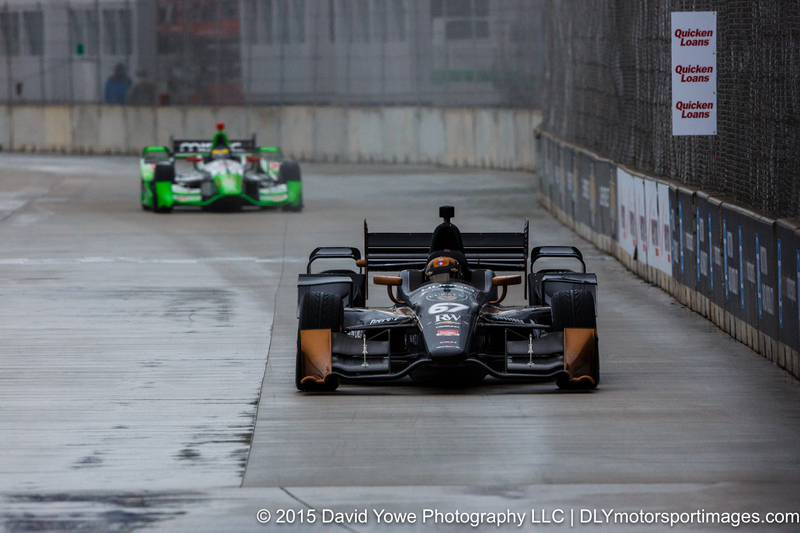 Down the front straight with Josef Newgarden in the #67 CFH Racing Chevrolet. Race winner Sebastien Bourdais in the #11 KVSH Racing Chevrolet. Their was also plenty of action in pit lane. 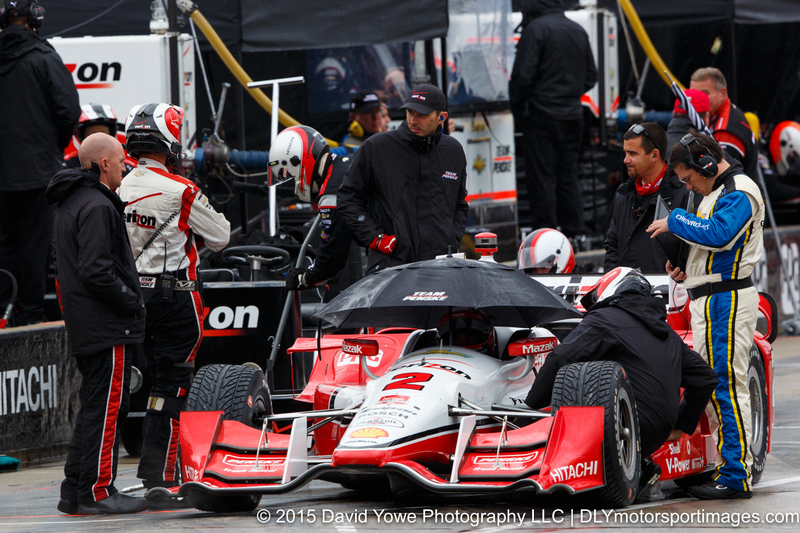 Refuel for Simon Pagenaud #22 Team Penske Chevrolet. 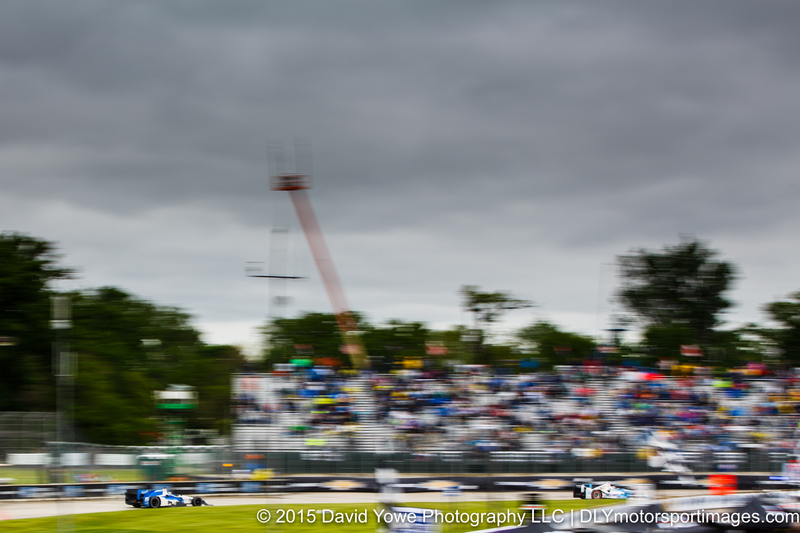 Over at Turn 2, the cars were really close to the photography holes. 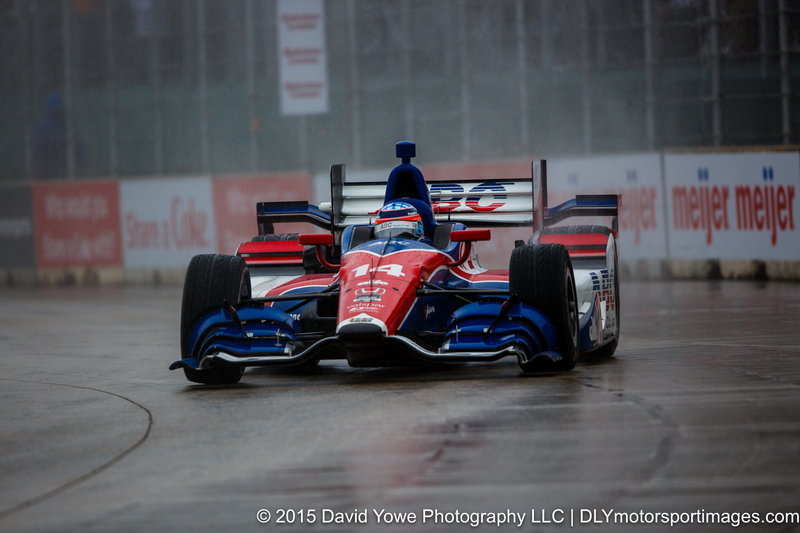 Takuma Sato in the #14 A.J. Foyt Enterprises Honda. 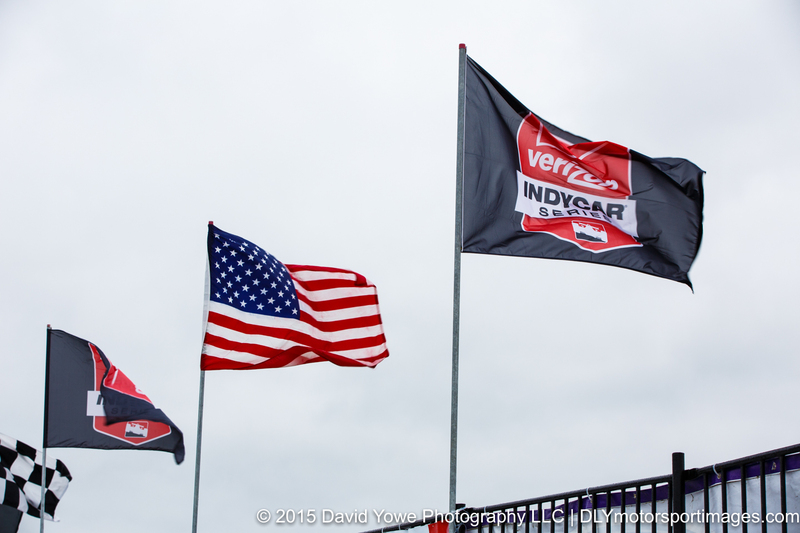 The USA and IndyCar flags were flying proudly over Grandstand 1. 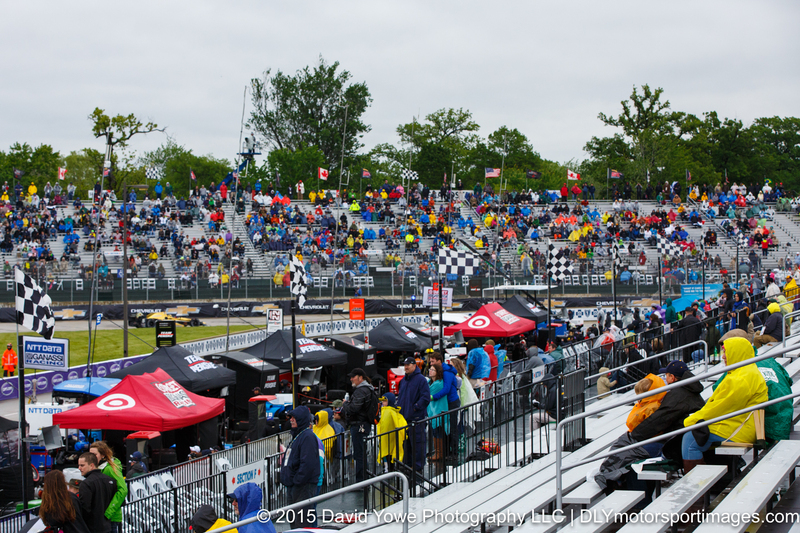 It was great to see race fans stay for the race despite the inclimate weather conditions. 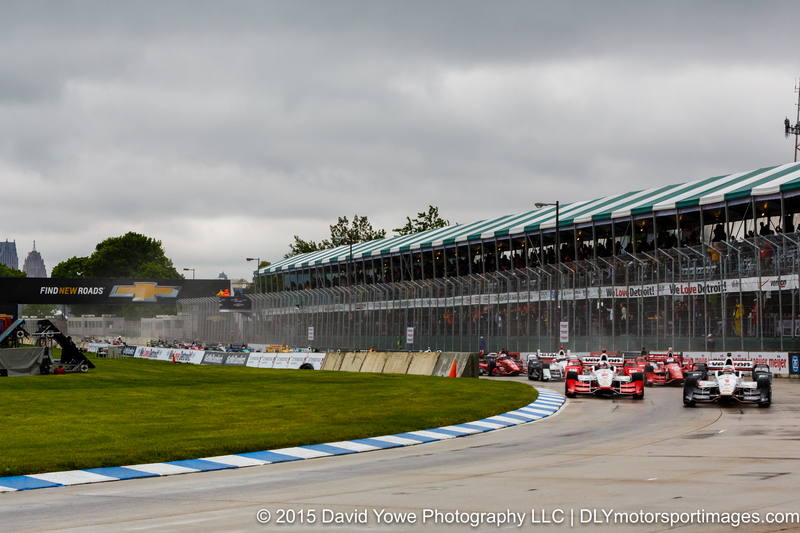 Speeding through Turn 1 with Francesco Dracone in the #19 Dale Coyne Racing Honda. 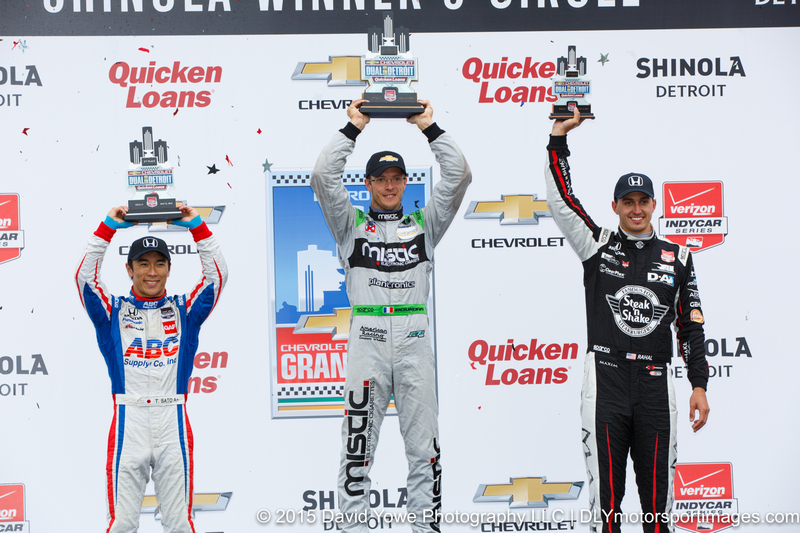 Winners podium with Sebastien Bourdais (first, center), Takuma Sato (second, left), and Graham Rahal (third, right). 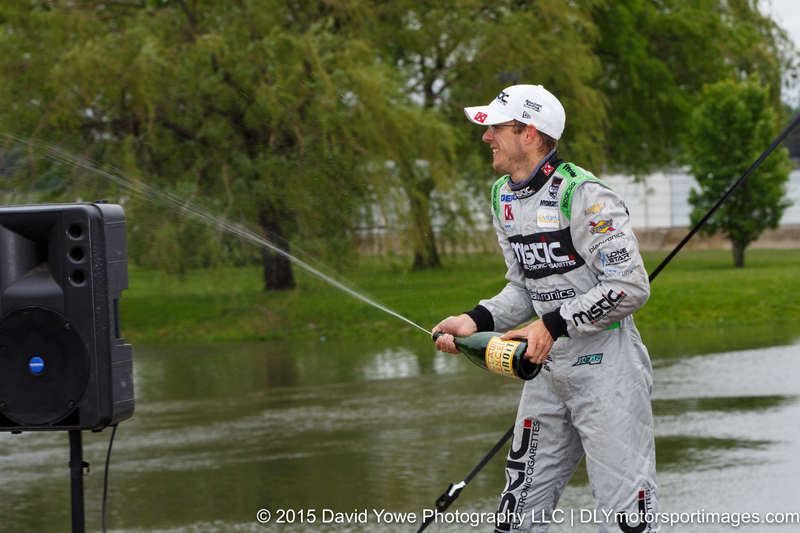 Champagne with Sebastien Bourdais (top) and Takuma Sato (bottom).